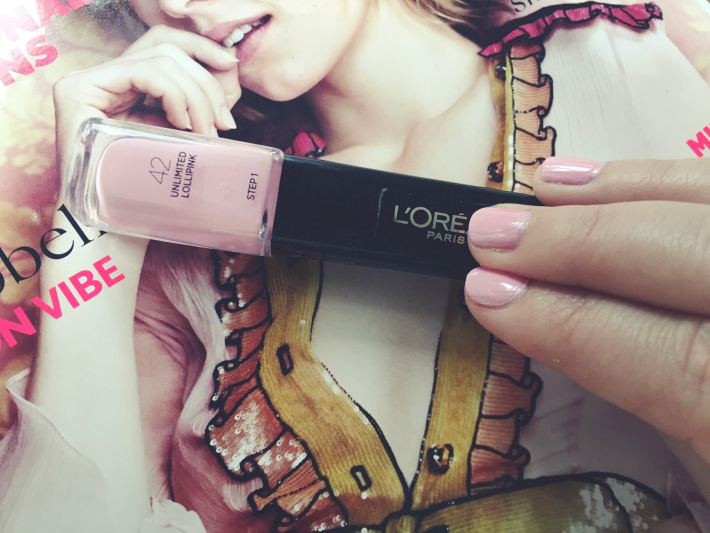 So the main idea with these polishes is that you follow the 2 steps - apply the colour and then the top coat. The top coat is different depending on every colour polish. Some of them are clear but the darker polishes have a hint of colour. The great thing about these polishes is their longevity. I've gone a full 5 days with absolutely no chips. This never happens to me, especially working in retail where I'm always using my hands and the nail polish usually chips within 2 days. I genuinely think it might be magic...or just a great top coat. I like to believe in the former! The colour range is quite good, although you will usually only find the whole range on the Boots website rather than in stores. L'Oréal counters seem to stock the same 5/6 polishes without a wide range of shades. But keep your eyes peeled and you might find a store with a wider range. I'd recommend these over any other nail polish. They're definitely something to rave about! 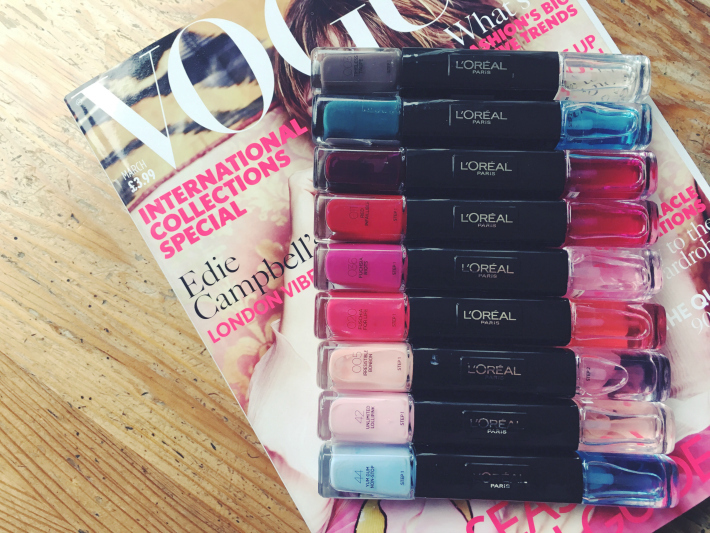 Excellent colour range and long lasting - what more could you want? I love the L'Oreal Infallible line and I will definitely be picking up these, they look amazing and I love the light blue shade on the bottom! Wow! I don't know about this product! Thank you for sharing! Gonna find it.